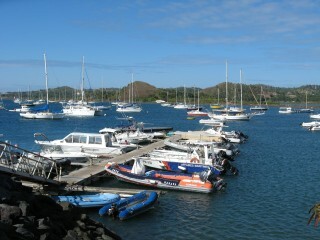 We visited Mayotte on our way north from South Africa in July 2009. As is often the case, we spent far less time than we would have liked, so we didn’t get to explore by boat as much as we wanted. But that’s the sort of thing that invites us back, over and over! 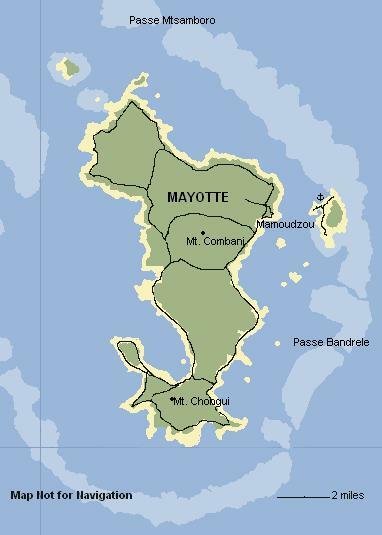 Mayotte is the only French island in the Comoros Islands (the others being independent). Mayotte (and the rest of the Comoros) lie between Madagascar and the coast of East Africa. Being French, it is a cruiser’s dream in terms of clearance procedures. No fees. No hassles. Although one does need to go out to the airport for immigration clearance. Speaking some French is helpful, but the officials can get by in English if necessary. Office hours are, well, unpredictable. You can be sure there will be no one at the Port Captain's office on Friday afternoon. Maybe not even Friday morning. Weekend hours are also loosely interpreted. Approach: The only really suitable anchorage for yachts clearing in is to the north of the small dual island complex comprised of Petite Terre (with the airport and a couple small villages) and the rocky outcropping from which the ferries depart, called Dzaoudzi. You'll see many boats on moorings near 12°46.9'S 45°15.6E. 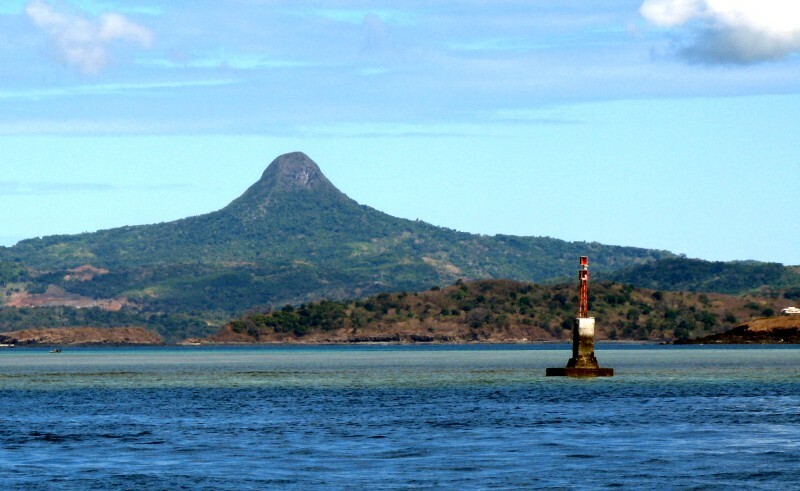 To get there, you have to enter the lagoon of Mayotte. Boats coming from East Africa will find the northern pass (Mtsamboro, at 12°36.4'S 45°07.5'E) to be the most convenient. But from South Africa or Madagascar boats may wish to enter the eastern Passe de Bandrele at 12°53.7S 45°15.7'E. We found the 2006 series CM93 chart database to be very accurate. 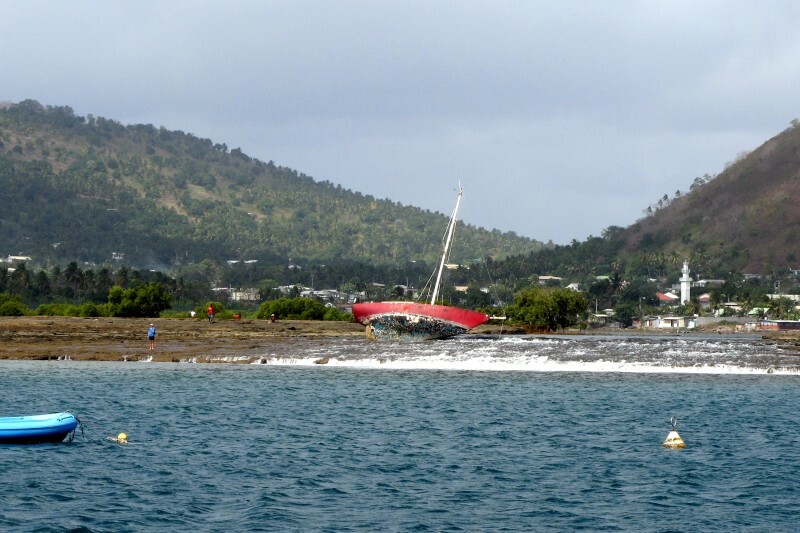 Unfortunately, the Coast Guard of Mayotte requires boats arriving from Madagascar (only?) to enter via the northern channel, adding about 40 nautical miles to the sail. We believe this has to do with concern over drugs being brought in from Madagascar, but we're not sure why it would matter which pass is used to get into the lagoon. Not knowing any of this, we made our entrance via the eastern Passe de Bandrele, after our 9 day passage up the Mozambique Channel from South Africa. We were met about 6 miles inside the lagoon by a Coast Guard boat who inquired about our nationality, number of persons aboard, and where we were coming from. We answered USA, 2, and South Africa. Did we have anything to declare? No. Bon. Proceed to the Dzaoudzi anchorage. We were relieved to not have to sail back out the pass and 40 miles north and into the northern pass, as it would have meant arriving after dark. The anchorage (mouillage, in French) is at approximately 12°46.9'S 45°15.6E. It shows on most charts as having a reasonable 5‑15 meters of water. Wrong. Almost the entire anchorage is over 15 meters (50 feet deep). The tidal range is over 3 meters, and we felt lucky to have arrived at low tide so that we could see how much of the rocky, wreck-lined shoreline was exposed. 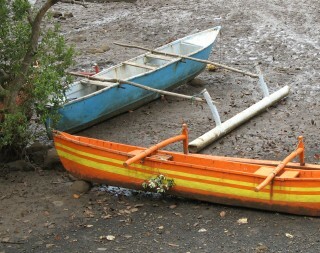 The majority of boats are on moorings, making the choices even tighter for those of us anchoring. After a night of worrying about our new and untested anchor, and having it drag on the rocky bottom, we asked around and were told of a mooring that was available. One French yachtie told us it was "no good", but another told us it was only 4 years old, and was a well-built "corps mort" (literally, "dead body" in French). We sat on it for 3 days, through calms and blows, with no worries. It pays to ask. To clear in, you take your dingy to the docks on the eastern (left) side of the ferry ramps on Dzaoudzi. At the top are containers for "poubelle" (garbage), and a little shelter with some information on the dolphins and whales of Mayotte. A guard is usually there, day and night. Walk out of the shelter, go right on the main road, past the taxi stand and around the curve to the left. After about a block take the first real right and go up a steep hill. At the top is a parking space for a building on the right that is the Port Captain's office. His door is on the right side, along with posted hours (which are only loosely followed). He will take your last clearance paper and send you off to immigration and customs. Customs is farther along the main road (the one you turned off of) on the western side of the island, at the car ferry terminal. Look for signs to "Douane". The officers may be in a long building facing the water, or in a two-story concrete building before the on-ramp for the ferry. A new building was being built for them while we were there. To get to immigration, life gets a bit more interesting. You need to hitch or take a taxi to the airport. All taxis on Mayotte are "collective" meaning they have a per person fee per set distance. You don’t have to pay for the whole thing yourself but you also don't get the whole car to yourself. 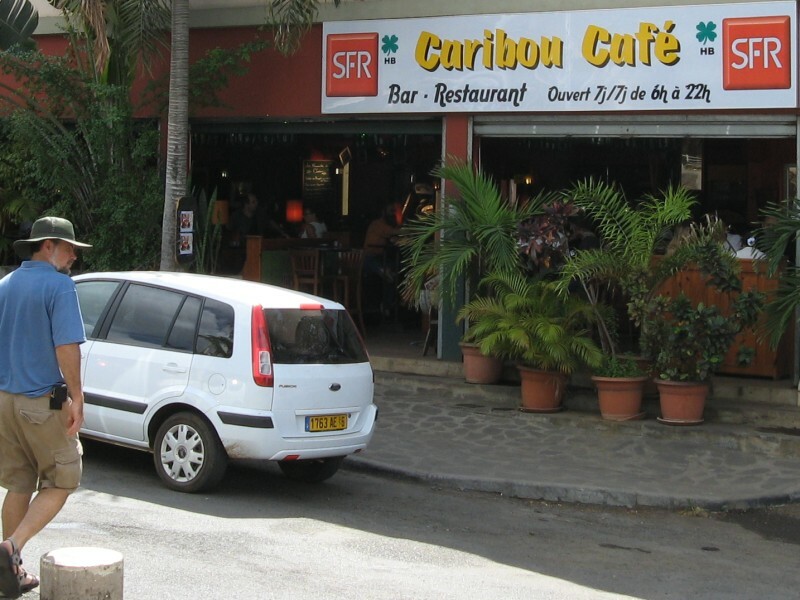 The fare to the airport is €1.75 per person, and takes you through a couple of cute and interesting small towns on Petite Terre. Immigration is in the departures building, to the far left when you enter. Ignore the line of people waiting to board their planes. Go past them, to the office on the left, where you’ll find folks who know what you need. Although we were told we didn’t need to come back when leaving the country, we did, in fact, as the Port Captain was looking for a stamp from immigration before he would issue our clearance papers. Taxi back, and you’re in! To Clear out, you go to the Port Captain first, who will give you a form that immigration and customs each need to stamp before you get your clearance papers. There are no charges, either in or out. Apparently, if you want to move your boat inside the lagoon (and it looks like there are lots of interesting anchorages all around Grand Terre), you have to get permission from the Port Captain. Sadly, we didn’t have time for such exploration. For more info, see Noonsite's Mayotte pages. 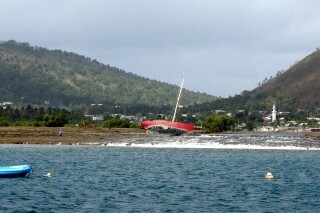 Petite Terre: We did have time to check out the little "yacht club" that faces the anchorage. It’s to the left of the dinghy dock, tucked into a shack behind boats hauled out for various forms of repair (and disrepair). Yachties get 2 weeks free membership (they do like you to sign up) which allows you to hang out, buy internet time, and buy (less expensive) beers. WiFi Internet is beamed out to the boats and costs €10 for 1 hour of connect time. We used it to connect, send and receive our email, then disconnect quickly, and we didn’t use our whole hour in our 5 days there, using it just for sending and receiving email. Down the road a bit past the yacht club is a small beach on the south side, with a couple small open air restaurants with French prices (i.e. mains are €15‑20) but the beers are cold (for €4). We found the local Mahorais people to be very friendly and approachable. We practiced our French, they practiced their English. The other thing recommended to do on Petite Terre was visiting the Lake in the northwest of the island. But again, it’s a taxi ride, a very long walk, or needs rental scooter or car. 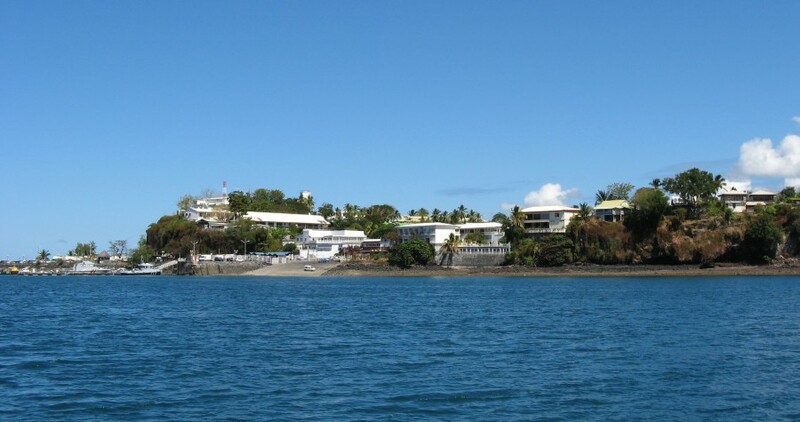 Grande Terre: To get provisions or boat parts, hardware, etc, you need to go to the main city of Mamoudzou, which lies to the west, across the lagoon. To get there you take the ferry ("le barge", right next to the dinghy dock) which leaves every 30 minutes. It’s free from Dzaoudzi to the city, but costs €0.75 per person for the return trip. If you take a car it’s free one way, but you pay €15 per car to leave the city. There is a tourist information center at the big complex (mostly empty) to the right of the ferry terminal. They can supply maps and directions. If you get there on a weekend ask about "les marriages" – weddings that take place in July and August all over the island, and are apparently open to the public, with dancing and food. Taxis in the city are also collective. The industrial part of Mayotte (called Kaweni) starts about 3 kilometers to the north of the ferry terminal. We walked several times to explore the shops. In Kaweni you'll find several car rental agencies. After walking the town flat, we ended up back at Budget which had the best selection of small, low cost cars. We paid €28 ($40) for the day, plus about €20 for gas for the car. The city grocery store is called Shopi Supermarket (and there is one on Petit Terre as well), at the top of the hill, across the road from the ferry terminal. Larger stores (such as Maxi) are found past Kaweni, and may have more selection and perhaps slightly better prices, but getting there may offset any savings. We tried hard to get duty free diesel and gas for Ocelot before leaving. But apparently, customs has nothing to do with this, and in fact told us that the main fuel company was in charge of issuing duty free permits(!) and they were only offered to commercial fishing boats and commercial charter companies. Even foreign yachts, apparently, do not qualify. Regularly priced fuel is obtainable by dinghy/jerry jug or by bringing your boat alongside the rough stone wall by the ferry terminal on Dzaoudzi. The fuel pump attendant is only there sporadically (and definitely not at noon prayer times, or Fridays). Best to check ahead and be sure he’ll be there when you need fuel. You have to pay in cash. NO credit cards accepted. Prices: Mayotte has a well deserved reputation as being a very expensive place to visit. The people of the other (independent) Comoros islands have a saying that the Mahorais people are the spoiled people of the Comoros. This is probably in reference to their socialized medicine and subsidized life - French pensions almost double if the pensioner decides to live in one of the marine provinces! 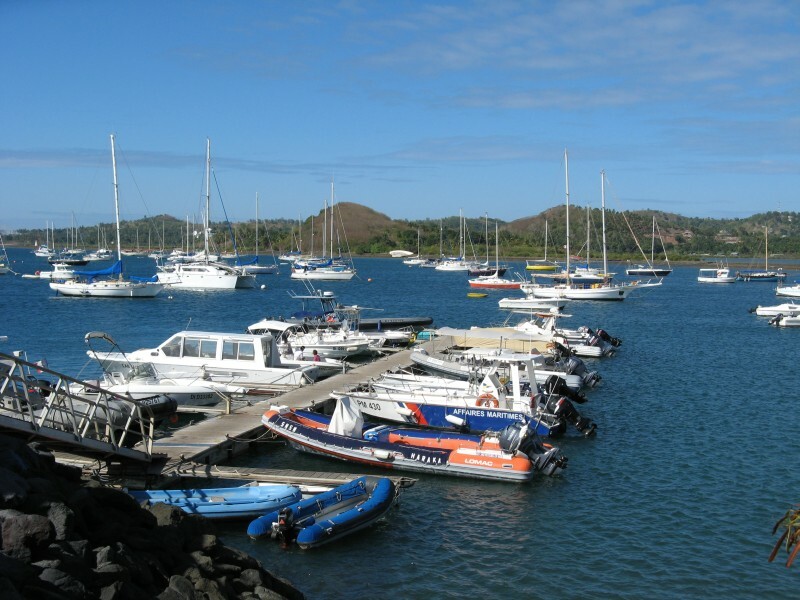 In truth, if you don’t need to provision too much, a visit to Mayotte needn’t break the bank. You can get baguettes for cheap, and baguette sandwiches for a couple Euros. Car rental was €28 ($40) for a 24 hour day, which is only a bit more than we're used to paying. Food prices were a bit more expensive than what we pay in the US – i.e. many items cost about €2‑3 and a grocery shop of 4‑5 bags would cost about €65‑70 or less than $100. Not cheap, but not killer high, either. Luckily, we had over-provisioned in South Africa where food IS a bargain, (as is the wine and beer!) So we bought small quantities of luxury foods, like French pastries, breads, pates and cheeses. Nice little cafe in Mamoudzou. Lunch for €55! Fresh produce is better bought at the open market next to the ferry terminal. 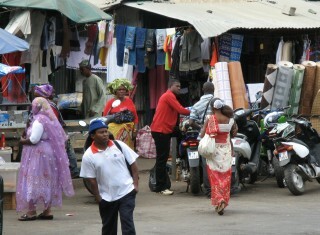 There are endless stalls selling knick knacks, cloth, shoes, bags, etc. Some touristy stuff, but mainly things for the locals. At the far end are the vendors of greenery and fish. I bargained by pulling a lesser amount out of my pocket than was asked for, and offering that. Most vendors took it. Language: Speaking at least a of smattering of French is pretty essential. Almost none of the locals spoke English. If you know Arabic or Swahili, you’ll do even better than with French! 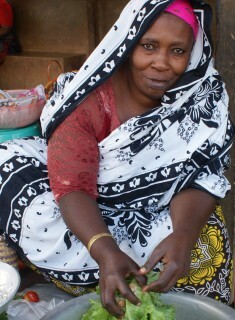 Culture: Mayotte may be French, but it’s 99% Muslim. Although you’ll see some women in short skirts or slacks (not short-shorts) and sleeveless tops, the majority of women follow the Muslim habit of dressing very conservatively. The majority wear full robes and head scarves. As a foreigner you’ll be treated better, and find the people more open to conversation, if you dress so as not to offend them. Only at the tourist hotels in the south where we stopped for lunch and to walk the beach did we feel that casual beach wear was acceptable. The Mahorais will hand you things such as change, and bought items, with their right hand, often with the left hand balanced gently under the right forearm. It is a gentle, supplicating gesture, one which we found very lovely. And one which was easy and rewarding to emulate.